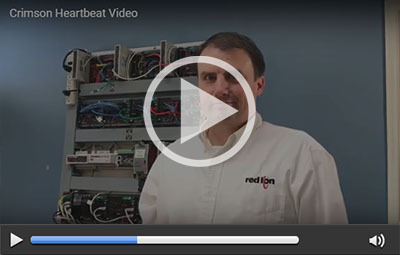 Jacob Colegrove explains how to set up heartbeat monitoring between a Graphite HMI and E3 I/O module. 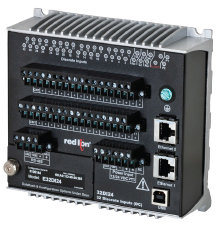 Red Lion's rugged E3 I/O™ Ethernet-enabled I/O module platform provides powerful networking and reliable remote monitoring and control capabilities for harsh industrial environments. With all-metal housing, wide environmental specifications and industry certifications, our suite of 17 E3 I/O modules offer up to 34 mixed I/O points to meet varying requirements. Learn more. Red Lion's Sixnet series EtherTRAK-2 Ethernet enabled I/O modules provide simple and secure remote monitoring for deployments in harsh environments. EtherTRAK-2 offers a low cost per I/O point and rugged environmental ratings for reliable sensor or field data collection and communication. Learn more.